We build websites that deliver real business results. See how we are different. Creating a great first impression is essential. Your website is the digital front door to your business. That's why we believe your website design should be driven by real results, not hopeful hunches. It's time you get the website you deserve. Websites that are constantly adapting to the demands of the end users deliver maximized results. By carefully planning and researching, we create websites that your users actually want to engage with. Your website is the first thing most of your potential clients will ever see and it could be the difference between them choosing your business or your competitor’s. No matter what industry you are in, people use Google and social media to find answers to their questions. What they find out about your company online is who you are to them. Your ability to accurately convey your story and brand through your website is essential to having success. Converting your visitors into potential customers takes a lot more than flashy graphics and fancy features. Smart companies across the country are positioning their websites as a resource for their customers. By shifting the focus of your website and reaching out to offer helpful resources to your prospects, you build trust and credibility with your audience. Instead of just getting found by potential customers, you begin to convert those visitors to leads with relevant content and then nurture those leads into life-long customers. Every business is unique and their online presence should reflect that. That's why we don't build run-of-the-mill websites for our clients. Our team of web designers and web developers get to know your business intimately and then create a site that will deliver business results. Whether you need a new WordPress site, HubSpot site or a customized HTML5 website, we have the skills and knowledge to deliver outstanding results. Our team has worked with hundreds of companies, helping them improve their online presence with a web design that reflects their business. 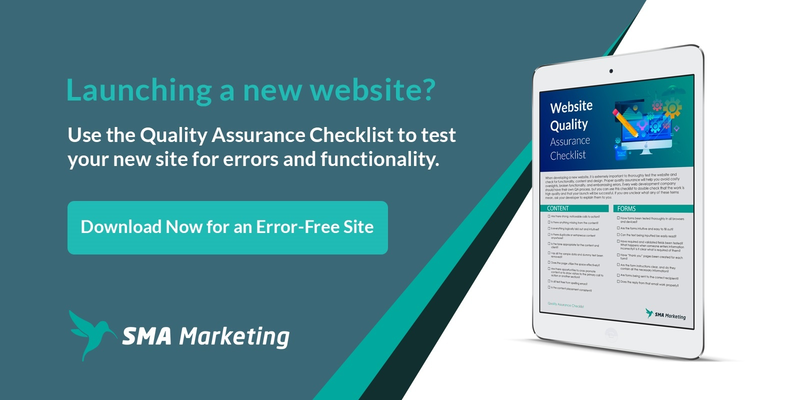 Shouldn't Your Site Just Simply Work? Most of the time we build our sites on the Hubspot COS or WordPress. Both platforms allow us to deliver a product with lightning-fast performance, full security, search engine optimization, and incredible support. Even better, both of these platforms make your new site simple for you to manage and use. You will never have to go through an IT department to make simple changes ever again. Today, more people are using mobile devices to search the internet than computers. If your site is not mobile friendly, you're losing business. Need more proof? Check out these industry facts. You need a web design agency that thinks mobile first. Our fully responsive design services ensure that your website will not only look great, but work great as well, no matter what device your visitor is using.